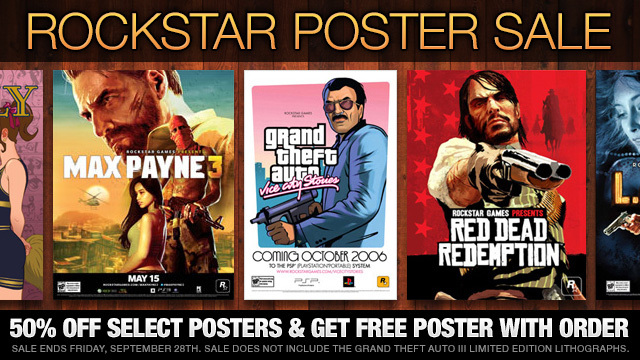 Rockstar is slicing prices in half for select posters in the Rockstar Warehouse. Now is the time to pick up that prized image for your wall that you always wanted. The sale goes through September 28th. But wait, there's more! Buy now (or sometime during this sale) and you'll get another select poster FREE! So head on over to the Rockstar Warehouse now and check out the selection! Plus for bonus excitement check out the GTA 5 forum here.